For Cricket Thompson, a summer like this one will change everything. 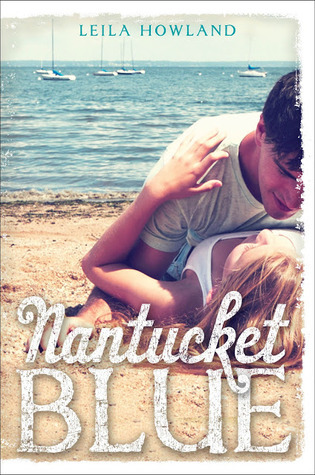 A summer spent on Nantucket with her best friend, Jules Clayton, and the indomitable Clayton family. A summer when she’ll make the almost unattainable Jay Logan hers. A summer to surpass all dreams. Some of this turns out to be true. Some of it doesn’t. When Jules and her family suffer a devastating tragedy that forces the girls apart, Jules becomes a stranger whom Cricket wonders whether she ever really knew. And instead of lying on the beach working on her caramel-colored tan, Cricket is making beds and cleaning bathrooms to support herself in paradise for the summer. But it’s the things Cricket hadn’t counted on--most of all, falling hard for someone who should be completely off-limits--that turn her dreams into an exhilarating, bittersweet reality. A beautiful future is within her grasp, and Cricket must find the grace to embrace it. If she does, her life could be the perfect shade of Nantucket blue. No one was more surprised then me when I fell in love with contemporary novels last year. I am now on the hunt for my favorite contemporary stories of 2013 and Nantucket Blue definitely seems like something I will enjoy. Now I just have to wait for summer to get here! The contemps have really become something I enjoy. This one sounds like it will be great. Nice pick. Wow -- I've never even heard of this one, but I love Cape Cod and I loved Jenny Han's Summer series, so I'll definitely give it a try! I also want to read this one. It looks incredible. Thanks for sharing.